Are there any pictures on the internet of the plant that man started with and from there produced cabbage, cauliflower, brussel sprouts and a number of other eatables? Even better a website than shows that path illustrating artificial evolution. OK, I think I understand what you are trying to do. However, I don't think that such is likely to exist. Think about it this way: You are going to have pictures of plants that are so similar that you can't really see the difference between them. Either that or there is going to be sufficient differences that the YEC crowd will claim “now show me the transitional between those”. 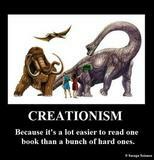 If you manage that, they will fall back to claiming that all you have managed to do is show proof of “microevolution”. It is also of note here that there are over 3700 identified species in that line. It includes mustard, turnips and various perennial flowers. So the line was most likely already diviserfied before we got to it and we may well have hybridized some genetic lines. Speaking of Brussel sprouts, they only look like little cabbages. Really, they bud from a thick stem just like broccoli florets. The stem grows out from a base with large thick leaves. 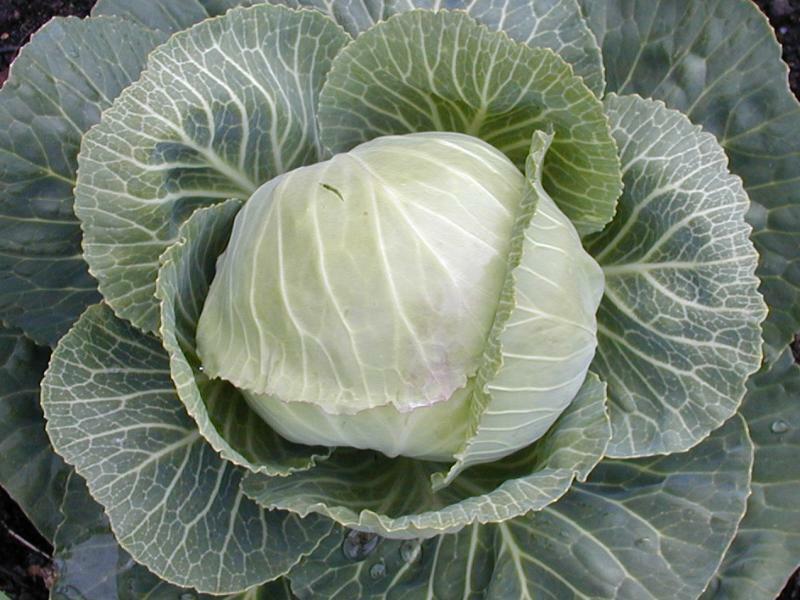 In cabbage, the stem is not there but it is the leafy base that folds in on itself to form the head. So while they look similar, it is really two different parts of the plant. The aside: It is funny that fundies had to ultimately accept micro-evolution being dragged and kicked. They could not lie to themselves anymore. And yet micro-evolution is the same building block for macro-evolution. But haven't they always been comfortable with half-truths? Didn't they come up with the micro & macro terms? Doesn't science just say evolution? The point: However, this is for me and my education. Fundies will believe what they believe. I am interested in reality instead. How do you know the things you have stated above? That is what I want to know and read about. Doesn't the common ancestor plant exist today that man molded into Cauliflower, Broccoli, etc? That transition only happened in the last 100k years or so. Doesn't the common ancestor plant exist today for corn, maze, etc? The wolf still exist for all the countless dog breds. Even as a fundie child I was always struck that you couldn't find corn, cauliflower, broccoli, brussell sprouts out in the woods. I loved my veggies. That man made effort produced plants that required special attention. I would assume if man stopped growing these they would most likely disappear under the eye of natural selection. Yeah...I think YEC etc. is a sinking ship. The more currently literature concerning evolution seems to be embracing anthropic design etc. and "theistic evolution" is gaining steam, even in more fundamentalist circles. I've been places in the world where there are numerous stray dogs. What I thought was interesting is how it only takes a few generations for such dogs to start taking on a wolf-like appearance rather than the appearance of cutsy breeds. Hmmmm.... Am I mistaken that this is not an established scientific fact? Was it just conjecture to say these plants are closely related and man developed them from the same common ancestor? I really don't think most people on here know much more than you about something this specific. I know I don't. You could just search for the information you're looking for online. I found these pretty quickly. Similarly, I imagine you could find pictures just by searching google images, "wild cabbages/cauliflowers/brussel sprouts." See? It's a wild cabbage. This is the most likely ancestral plant, Brassica oleracea, and Wiki has an article on the plant. I recently attempted to read a compilation of scientific papers on plant domestication. I just skimmed a couple - they were on squash and beans as those appear to be some of the earliest domesticated and these were scientists interested in the earliest signs of plant domestication. Note I said attempted - there is a reason I am not a research scientist. I don't have the patience to either read or create scholarly papers. There are a few factoids I've picked up over the years. Plant relationships used to be determined by flower structure, and not the entire plant. So similar flowers implies a relationship. Broccoli and cauliflower are plants where we eat the immature flowers. Of course, they do DNA analysis as well any more. When plants are domesticated, they change from the wild ancestor. In seed size, in the size and composition of the starch molecules and in the size and shape of the silica nodules that help support the plant and fruit. Archeologists examine specimens found in buried storage and in middens (garbage dumps) to see the changes in the plants over the years. And that is the extent of my expertise on the subject.